Genoa’s activity in the transfer market never seems to stop as this January, the Rossoblu are very keen to make some more important signings especially since tactician, Alberto Malesani, has already requested the management for reinforcements. Not mentioning the potential candidates, Malesani only confirmed that the club needs several additional to fix several problems which occurred at his team during the course of this new season. “The club needs to step in and make changes in January on the transfer market to fix those issues we have already discussed. We will make some signings that can help us out,” Malesani stated. Answering the tactician’s request, Genoa’s president, Enrico Preziosi, also hinted at a new signing, stating that As Roma’s wantaway striker, Marco Borriello, could be one of the potential January arrival. However, should they missed out on Borriello, Preziosi also confirmed that the Rossoblu will be looking elsewhere in the market as getting reinforcement is pretty much a confirmed idea for the Marassi outfit. 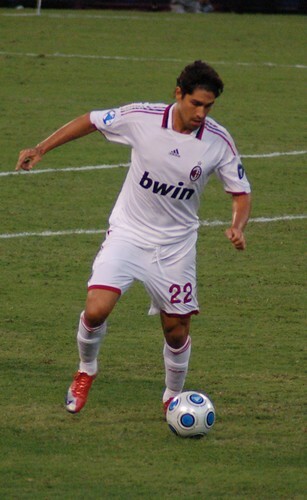 “I hope he(Borriello) arrives. He did very well with Genoa in the past. If the opportunity to get him back is possible then we’ll have a go, otherwise we’ll do something else. If he does leave then Genoa would be his priority,” Preziosi revealed. Aside from confirming the potential arrival at Genoa this January, Preziosi once again also confirmed that the club won’t be returning Alexander Merkel back to Milan this winter. The German under 21 midfielder has been one of the Rossoblu important players this season so they’re not keen in letting him walk away that soon, despite rumors claimed that the Rossoneri are offering a loan exchange with Stephan El Shaarawy.